Johan Kanflo – Caring for the unwritten code since 1990. Checking if the washing machine is done is a popular (not to mention useful) application. This is often done by sticking LDRs to the washing machine, adding IMU sensors or analyzing mains power usage or even the sound emitted. I needed a solution with minimal time effort as I have lots of other things I want to do so I went with a Raspberry Pi Zero W and a PiCamera. Starting as “wash monitor” it transformed to “appliance monitor” as any appliance can be monitored. I have a single Raspberry Pi keeping an eye on both the washing machine and the tumble dryer. Next, the “lights” and “machine” states are tracked and a notification is sent when “machine” goes from “on” to “off”. Pushover is used as notification service and MQTT for general service monitoring. My washing machine is in the basement, ie. in a “controlled light environment”. The lights in the laundry room are Ikea Trådfri ones activated by a motion sensor and they switch off after a few minutes meaning we will never be stuck in the “lights are on, machine state unknown” state. Normally no-one enters the laundry room minimising the risk of false positives by a person dressed in black pants standing in front of the camera. MJPEG Streamer is used for snapping pictures and ImageMagick for processing. Pictures are cropped to only reveal the display which increases the percentage of non black pixels when the machine is on. Blurring is used to increase specular highlight of the LEDs, a threshold filter is applied making sure we end up with only black and white pixels (and no image sensor noise) and finally the histogram is calculated. The Pi is taped to the wall opposite the machines so it will not move (which would mess up the cropping). Next, copy sampleconfig.yml and modify as needed (there are lots of comments to guide you). The “image processing parameters” section can be skipped for now. Use this image to determine the crop area specified in ImageMagick style (blur and threshold are also IM style, check the ImageMagick documentation for help). Now try the cropping and calculate the black level. The last two zeroes are “blur” and “threshold” (zero means disable). ./applimon.py -c washconfig.yml -t "290x120+20+410 0x6 6"
You may need to elaborate with the blur and threshold parameters to get satisfactory black levels. I use the ones in the sample config for both my washing machine and tumble dryer. Code on GitHub as always. Creating OpenDPS was a lot of fun and I am really enjoying seeing it in use on other peoples DPS:es. In this post I will elaborate on the future of OpenDPS, feel free to join the discussion in the comments below. The original OpenDPS firmware was “an application displaying a user interface allowing the user to set output voltage and current limit”. 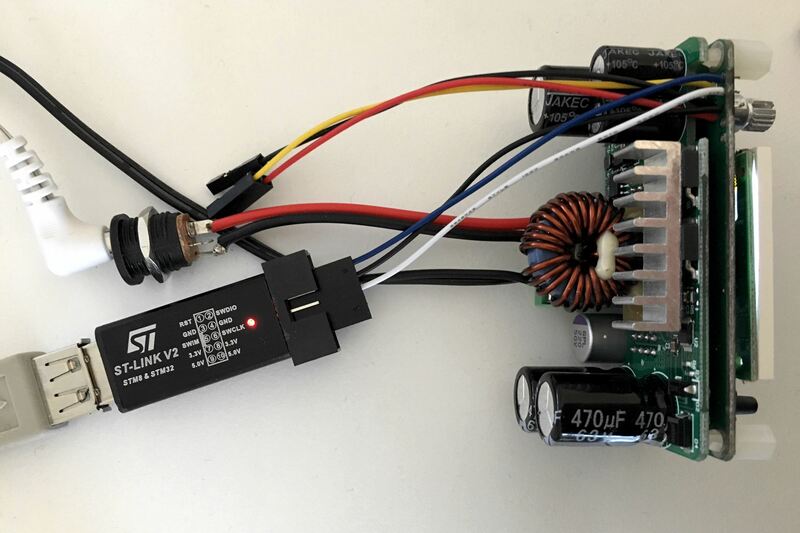 Over time the constant current mode was added due to popular demand 😉 Remote control is possible using dpsctl, a tool that “knows” what functions the OpenDPS firmware supports. All that functionality still exists, but from a software architectural point of view the firmware today is completely different. With the recent UI overhaul, the firmware is “an application supporting functions and allowing the user to change parameters specific to these functions”. Sounds a bit dry, doesn’t it? The good news is that the “functions” implemented are CV and CC so the user will not notice things changed under the hood. Even better news is that it is now trivial to add new functions. The original CC mode was somewhat shoehorned into place while the rewritten one fit right into the software architecture. One new function I am thinking of is a signal generator. Selected OpenDPS supports the cv and cc functions. The commands above list the supported functions, selects constant voltage and sets output to 3.3V and current limit to 500mA. The OpenDPS will complain if the function does not exist or the parameters are incorrect. The parameter setting code is currently being worked on and I will push to GitHub it as fast as I can to restore remote control of OpenDPS. The function generator will arrive later this summer, its timeframe being weather dependent. 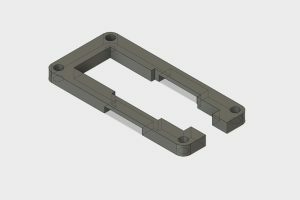 Got any ideas for other functions? Let me know. As the saying goes: “it was fun while it lasted”. I always expected the shopping spree from AliExpress, eBay and friends in China would come to an end one day but did not expect it to go out with such a bang. Today PostNord (they handle snail mail in Sweden) announced they will impose a 125SEK + 25% VAT fee (about €16 in total) on every single parcel arriving from China. I would not mind paying VAT on China imports but I do mind getting robbed by the mail man. Apparently, there is an inflow if 150k Chinese parcels every day in Sweden. PostNord expects that number to drop to 120k/day. Multiplied with 125SEK/parcel, this will lead to “significant income” according to the PostNord spin doctor. I expect not. Updated on September 2nd 2017. It’s exciting to see the continued development of the DPS5005 and ‘3005. Today Rd Tech released a version with USB/Bluetooth connectivity and I just ordered one to make sure OpenDPS runs on it. The new version seems be fitted with a JST has a JST GH connector which makes connecting an ESP8266 or a serial port a bit easier. It also has different MOSFETs by the looks of it. Now I only need to wait 25-36 days for shipping. The wait is over and with a minor tweak (DAC needs to be disabled when turning off the output) OpenDPS is fully functional on the new DPS5005 “communication version”. There is no need to solder the UART anymore and you get a cable with the device. You can cut the cable in half to connect to your ESP8266 or FTDI-adapter but I recommend buying a set of cables and connectors from eBay. Search for “10SET JST GH Connector plug with Wires Cables” and get the JST-GH 4 pin kit. 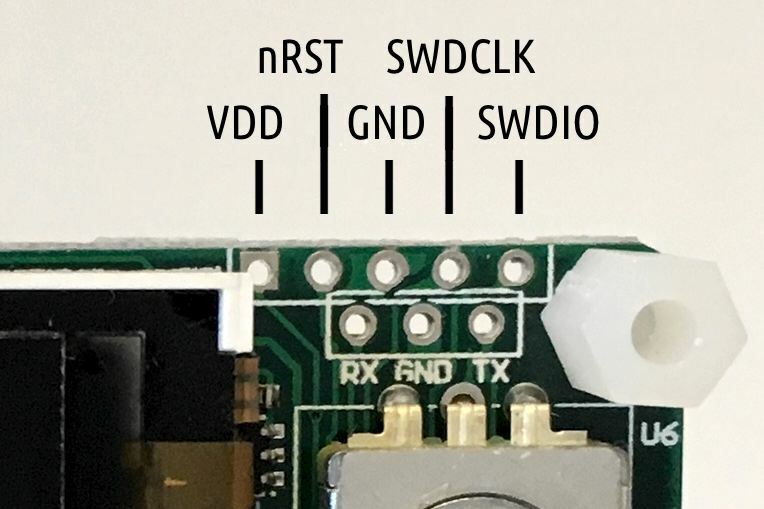 The pinout of the cable depends on what end you insert into your DPS (as both ends have female connectors). Thus, I will not say “red is VCC” as it will be “red is GND” if you connect the other end and observe the holy smoke. Look at the pinout below and determine which wire is which. The silkscreen is “V R T B” which I think should have been “V R T G“. RXI indicates that this is the RX input (sic!) of the DPS5005. and TXO is the TX output (re-sic!) of the DPS5005. 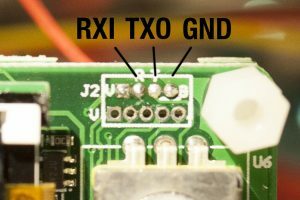 People have mixed up RX and TX for ages, calling your signals RXI and TXO will put an end to it. To the left of RXI is VCC which in the previous version could not power an ESP8266. I have not checked if the regulator has been changed to something more powerful in this version. 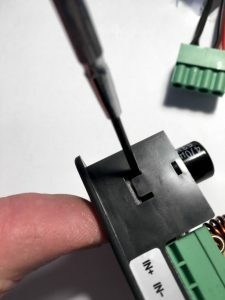 The JTAG connector on these new devices is called JST-GH and has a tiny 1.5mm 1.2mm, 1.25mm spacing and there is not room for running the JTAG wires toward the back of the device which makes a permanent JTAG solution cumbersome. When flashing, I simply pressed three test needle probes agains the GND, SWCLK and SWDIO connectors. Then again, most people will not need permanent JTAG but we all want a easy upgrade option for OpenDPS. If you accidentally upgrade to a really b0rken version, the bootloader can be forced to enter upgrade mode if you keep the SEL button pressed while enabling power. The display will be black during the entire upgrade operation. If it stays black, the bootloader might refuse or fail to start the OpenDPS application, or the application crashed. If you attempt the upgrade operation again, and upgrading begins, the bootloader is running but is refusing to boot your firmware. But why? Well, let’s find out. If you append the -v option to dpsctl.py you will get a dump of the UART traffic. The fourth byte from the end in the received data (0x03 in this example) will tell us why the bootloader refused to boot the firmware. See protocol.h for the different reasons. 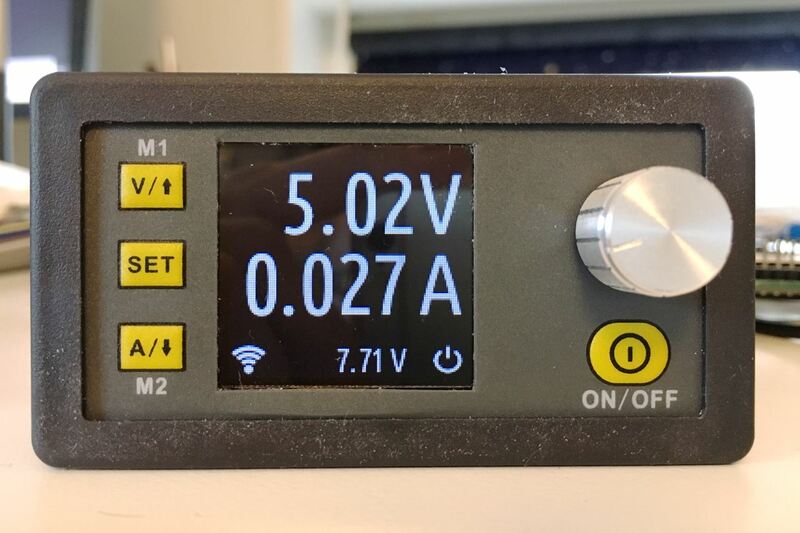 Some time ago I found the DPS5005 while browsing AliExpress for programmable power supplies. To be honest, I dismissed the ‘5005 since it was not a complete product. Then HAD wrote about it in december last year and after watching YouTube user @iforce2d’s video I just had to get one. The overall impression was quite good but the software was a bit cluttered and the DPS5005 could not be instrumented via a serial port (or wifi). 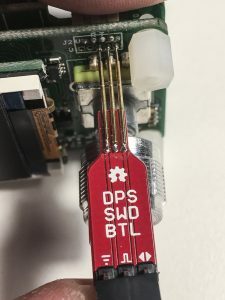 Looking closely at the sandwich PCB design I noticed the DPS is powered by an STM32, which is pretty much what I expected. And so begun the OpenDPS project, a free firmware replacement for the DPS5005 and friends. This write up of the OpenDPS project is divided into three parts. 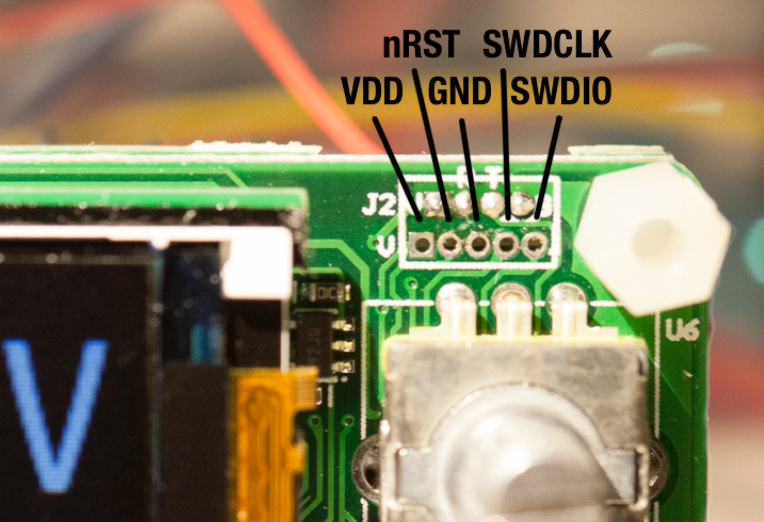 Part one (this one) covers reverse engineering the stock firmware and could be of interest for those looking at reverse engineering STM32 devices in general. 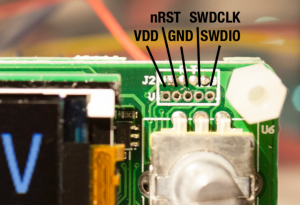 Part two covers the design of OpenDPS, the name given to the open DPS5005 firmware. 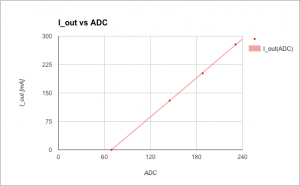 Part three covers the upgrade process of stock DPS:es and connecting these to the world. If you only want to upgrade your DPS you may skip directly to part three. The reverse engineering of the DPS5005 can be summarised as “bring up of the STM32 based DPS5005 hardware and writing an application for it”. This is pretty much my day job but I always have the hardware schematics and the hardware design engineer at hand. This time, obviously, I had neither which was a bit more challenging. So where does one start? Looking at the PCB, I quickly found the serial port. That was a dud, completely silent. Fake port! I later realised the DPS5005 stock firmware does not even initialise the serial port. The STM32 is covered by the TFT display, which in turn is soldered using eight pins. As I did not have the time to play with iron and solder wick I resorted to a metal saw and promptly sawed the TFT display off (please note this is not the unit in the pictures below). Warranty voided, oh there actually was none to begin with. Having the STM32 in the open quickly allowed me to identify the five test points at the top of the PCB, the expected SWO trace port. But had the producers locked the SWO port when flashing the firmware? Luckily, no. So “readout protection” is enabled which mean you cannot read the firmware from flash. Not a biggie as I was not interested in the stock firmware in itself, only what it controlled. So what would be needed to create the OpenDPS firmware? Learn how buttons and other IOs are connected. What STM32 peripheral drives what function? Failed! Hmmm, let’s do a power cycle, restart OpenOCD and try that again. Now that’s better! I am not sure why it fails the first time, it did so on both my units but succeeded on the second attempt. A simple ‘make flash’ and the display showed my test pattern and the power output was at the expected 5V. Mission, partly, accomplished! 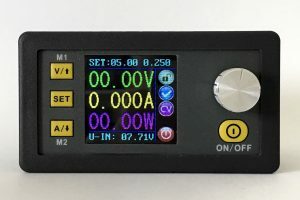 I could reflash the DPS5005 and control the voltage setting. Time to write a proper application. More in part two. This is the second part about hacking the DPS5005. Part one covers the reverse engineering of the DPS5005 and part three covers the process of upgrading stock DPS5005:s to OpenDPS. 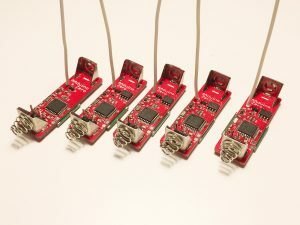 The goal of OpenDPS is to reflash the stock DPS5005 (and friends) with a firmware that has the same functionality, has a less cluttered user interface and is remote controllable via wifi or a serial port. 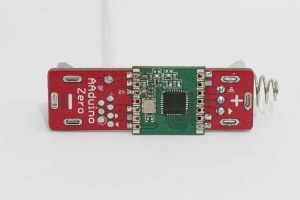 The application needs to respond to user input both via buttons and the serial port and also via ADC readings telling us if the current draw is larger than what we allowed. Buttons and UART RX are handled using interrupts and obviously the ADC needs to be interrupt based too for fast response (and less smoke). Responding to user input and TFT drawing can be left to the application context. The application in opendps.c sits in a busy loop waiting for events to arrive in the circular buffer. Button presses, serial RX and over current protection events are placed in this buffer. The application calls the UI module that updates the UI with fresh measurements every 250ms. User input is also handled in the UI module. Events are 16 bit integers encoding the event type and optional event data. For the UART RX event the data obviously is the received byte. For button presses we also include information telling us if the press was a long press. 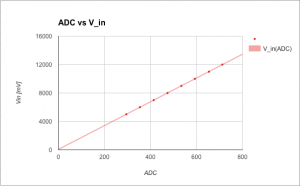 V_in(ADC1_IN8) – given a reading on channel 8, what is the input voltage? V_out(ADC1_IN9) – given a reading on channel 9, what is the output voltage? Additionally, I currently collect a number of “over current samples” before triggering the OCP. This scheme needs some investigation. User settings need to be persisted and this is taken care of by the past (parameter storage) module. 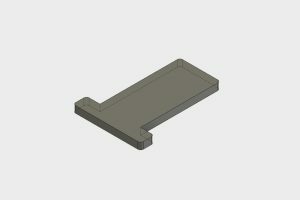 This module uses two blocks for storing data. One is the “current block” and when it gets full a garbage collection is performed and the data is copied to the other block. Counters tell which block is the most recent one. In theory, power loss should not lead to corruption and/or data loss. An anti aliased rendering of Ubuntu Condensed is used in two different sizes for the UI. The font is found in gfx/fonts and consists of two files. The glyphs itself (eg. ubuntu_condensed_48.png) and one image describing the widths of each character (eg. ubuntu_condensed_48_width.png). 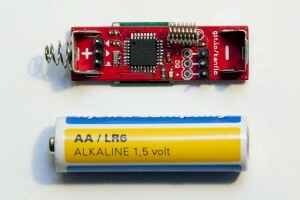 The utility is agnostic as to how the OpenDPS device is connected. Provide an ip address and it will attempt to talk to that. Provide a TTY device and it will attempt to talk to that. For wifi connected DPS:es, you can provide the option –scan to find all OpenDPS devices on your network. Any good old ESP8266 board with the UART exposed will work. Connect GND, RX and TX, build and flash esp8266-proxy (don’t forget to set your wifi credentials) and you should be good to go. Note that you currently cannot use the master branch on the main ESP Open RTOS repository as my PR for a function needed for multicast has not been merged yet. The design of esp8266-proxy is quite minimalistic. It receives UDP packets on port 5005, sends the content on the serial port and returns the answer to the UDP source address and port. The TFT should flash once as a visual indication. If you get ‘Error: timeout talking to device 172.16.3.203’, check if you swapped RX and TX. 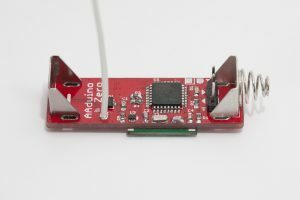 You can always connect an FTDI adapter on either RX pin on the ESP8266 and OpenDPS to debug the communication. That concludes part two, please see part three for a description of how to upgrade your DPS5005 to an OpenDPS 5005. This is the third article about hacking the DPS5005. Part one covers the reverse engineering of the DPS5005 and part two covers the design of OpenDPS. April 14th 2017 update: is has been verified that OpenDPS can push 5A. Thanks @johannes! June 9th 2017 update: added a note on saving the STM32 peripheral settings before wiping the internal flash. August 31st 2017 update: updated article with the new boot loader and a note to test your device prior to unlocking. Although this guide is written for the ‘5005 it should work for the entire DPS family but I only have 5005s to test with. Before we begin I should mention that the stock firmware will be gone permanently. As readout protection is enabled on the STM32, the FW cannot be extracted and I have no source for it. Additionally, I take no responsibility if you destroy your DPS. That said, let the fun begin. You will need a DPS5005 (or similar), an STLink clone and some wire. Either you solder the wire onto the DPS or you can use female-male dupont wires for flashing. 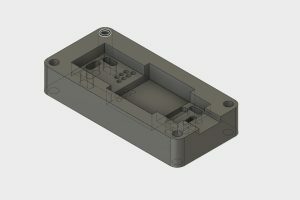 First you need to remove the PCB from the (semi) housing. Use a small flat screwdriver to prey the PCB loose from the retaining flaps. Be careful not to break the retaining flaps (not that they’re fragile, but still). They are very much needed for holding the front panel in place when you press the buttons. If you have an older version (below left) you can solder some AWG26 wire onto the SWO and UART ports. It is advisable not to solder pin headers as there is limited room inside the housing. I added dupont jumper housings at the end of the cables to aid in connecting them to the STLink clone and FTDI ditto. Hint: make the cables “stretch” backwards, from the display. For newer versions (below right) the 1.25mm JST-GH there is little room for the SWD wires. As a bonus, you need not solder the UART cables in case you bought one of the “communications versions”. If you do not want to solder (and do not want any remote control) (and have steady hands) you could connect three female-male dupont cables to the STLink clone and hold them pressed against the DPS while flashing. With that in place you should install OpenOCD and an ARM GCC toolchain. For GCC, Launchpad is a good place to start. For OpenOCD, YMMW. If you are on macOS you can find OpenOCD here (it installs as /Applications/GNU ARM Eclipse/OpenOCD/0.10.0-201610281609-dev/bin/openocd). With the tools in place you’re ready for the next step. 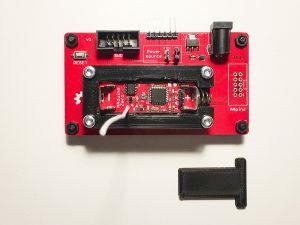 You will receive a few lines of output ending with “Info : stm32f1x.cpu: hardware has 6 breakpoints, 4 watchpoints” if the connection was successful. Rinse and repeat for one or two more voltage levels. Check the log files, there should be no lines saying “Parsing error”. If your OpenDPS does not work, these files will enable me (or someone else, remember this is open source you 😀 ) to pinpoint the problem. Additionally, you should test the device before unlocking it. Enable power, connect something and verify that your unit actually works. and your DPS5005 is now an OpenDPS 5005. Congratulations! If things went south somwhere, feel free to ask for help in the comments below. 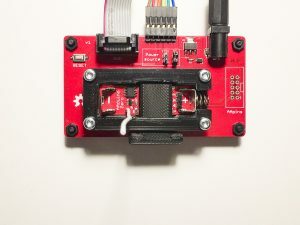 From here you can use the OpenDPS as a stand alone device, control it via a serial port or control it via wifi by connecting an ESP8266. 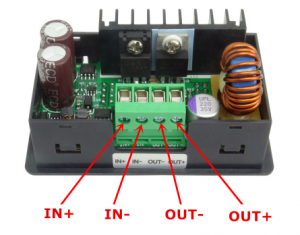 When you power on your OpenDPS, the current voltage and current limit settings are displayed and the power output is always disabled. 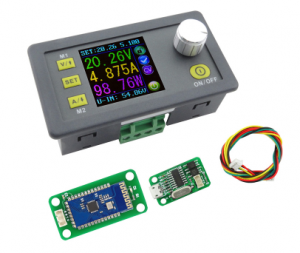 Pressing ON/OFF will enable power output and the display will now show the measured output voltage and the measured current draw. If the screen flashes once and goes back to displaying the voltage/current settings, the over current protection kicked in. Press ON/OFF again to disable the power output. Press the SET button to go into editing mode. Press the V and A buttons to move between the voltage and current settings. Press the rotary knob to step sideways and turn the knob to change the values. Press SET again to exit editing mode. Press and hold the knob for two seconds to lock the keys, long press again to unlock. A long press of the SET key will invert the display. 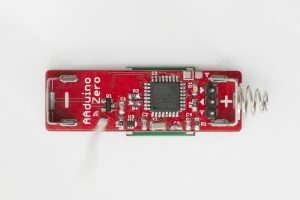 When your OpenDPS starts it will wait for a wifi connection from a connected ESP8266 and the wifi icon will flash at 1Hz. If it does not get a wifi connection, the wifi icon will be turned off after 10 seconds. If there was an error connecting to your wifi network, the wifi icon will flash at 4Hz. The TFT should flash once as a visual indication. If you get ‘Error: timeout talking to device’, check if you swapped RX and TX and/or forgot to connect GND. For wifi control, any good old ESP8266 board with the UART exposed will work. 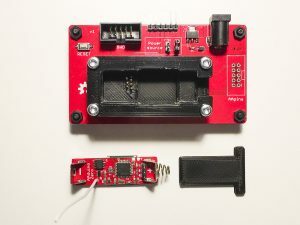 Connect GND, RX and TX, build and flash esp8266-proxy (don’t forget to set your wifi credentials) and you should be good to go. The TFT should flash once as a visual indication. If you get ‘Error: timeout talking to device 172.16.3.203’, check if you swapped RX and TX. The dpsctl.py tool has the same functionality over wifi as well as the serial port. Sadly, you cannot power your ESP8266 from your OpenDPS. The VDD pin next to the SWO port is connected to U4 (under the TFT), an MD7133H 3.3V regulator which only provides a measly 30mA (yes, thirty). Additionally, this regulator is powered by U3 (on the backside, next to the screw terminal) which is an XL7005A supplying 400mA @ 5V which could be a bit over the edge for a power hungry, cold booting ESP8266. There are a few todos in the code but overall OpenDPS should be stable for everyday use. That’s it, have fun hacking your DPS5005! Sometimes you bet on the wrong horse. I put my money down on the ESP3212 as I had seen the images of sample modules and AiThinker seemed to be on the way to mass produce this lovely little thing. 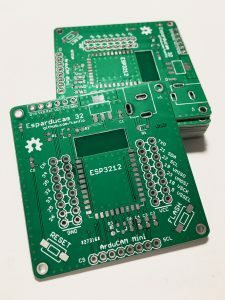 As I had a bunch of designs to send off to Dirty PCBs, I quickly whipped up an ESP3212 version of my Esparducam board. The day after the boards went into production (early november IIRC) I read that the ESP3212 was scrapped in favour of the ESP32S. Not a completely bad choice as the 3212 was not pin compatible with Espressifs version of the module. But still. So, if you actually managed to get your hands on a ‘3212 and wish to test it on this board I’d be happy to send one to you for the price of p & p. Goodbye ESP3212, I hardly ever knew you.